Computer parts or frozen poultry. 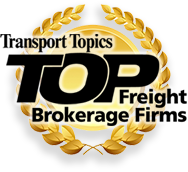 Dry and refrigerated freight moving on any variety of specialized equipment. Scheduled, seasonal, sporadic . . .or one-time only. Large or small, intermodal – rail, sail or flying high – whatever you need, we’ll propose the most efficient solution, then deliver your cargo in tip-top shape and on time. Service is the lifeblood of our company. Everything flows from it and is nourished by it. Customer services is not a department, it is our commitment and a way of life. Whether we have to go over, go under, go around or go through, we will not go home until the job is done right. SIZE: We maintain a database with access to thousands of qualified trucking companies, screening out the top twenty-five percent to exclusively serve our customers – allowing efficiencies in delivering a virtually unlimited number of shipments on any given day. 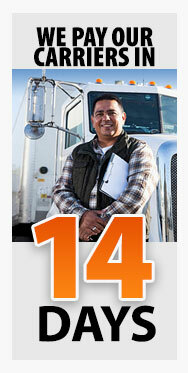 SCOPE: We handle every kind of shipment, from car parts and crackers to frozen fish and fresh fruit. Our clients range in size from small businesses to corporate giants. We also offer parcel and package TL services, whose deadline demands require tracking hourly and handling as many as 2,000-plus shipments in a seasonal spike of 18 days, seamlessly. START-TO-FINISH PROCESSES: From routing through tracking and ongoing reporting, our system integrates Electronic Data Interchange (EDI) technology, GPS, cell phones, faxes and the Internet . . .and it’s all directed from our high-tech operations center staffed with skilled dispatchers. SERVICE – SERVICE – SERVICE: You’ll especially appreciate our single-point-of-contact system. A dedicated ST pro (whose job is to know you and your needs) handles your account with the most attentive care. CARRIER SELECTION: We are passionate about customer service. That’s why we only partner with trucking firms who can meet and maintain our stringent standards for performance, credit rating, licensing and certifications, solid references, and DOT safety rating. Our claims ratio is among the lowest in the country, while our on-time pick-up and on-time delivery numbers far exceed industry standards.